This is a good summary, thank you. Leaves me wondering. Is there, out there, a ‘long read’ that summarizes the WHOLE THING? The whole of the US electronic surveillance system. 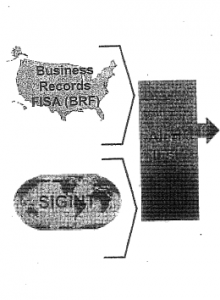 All the dragnets, all the sources of data, pre- and post-9/11, how FISA fits in, which organization collects and which gets to review? (would include FBI, DEA, 215, EO this and that, etc.) Seems Without too much detail, it would make a good chapter-length document. Ideas?